Home » Blog » Got Garden Tools? We Need ‘Em! Got Garden Tools? We Need ‘Em! It’s barely February, but Spring is already in the air at the Forklift. And do you know why? We’re planning the 2018 Garden Party! Every Spring, Community Forklift hosts a fun-filled event where we offer up a ton of landscaping and garden supplies, and host gardening demonstrations, local experts and vendors, local bands, and a local food truck. 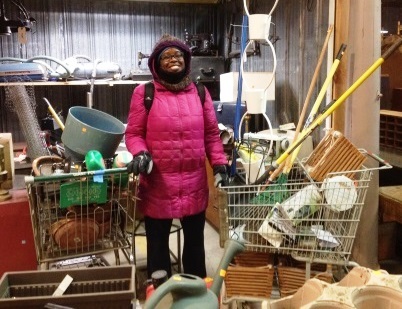 Shopping local and supporting the creation of green jobs keeps our customers smiling! We’ve got your good cause right here! bring us your gently-used garden tools, flower pots, landscaping supplies, outdoor decor, and patio furniture. The Annual Garden Party & Spring Fundraiser is Community Forklift’s biggest fundraiser of the year – all of the proceeds allow us to continue to create green jobs, reduce waste, educate the public about reuse, and provide free supplies to nonprofits & neighbors in need. 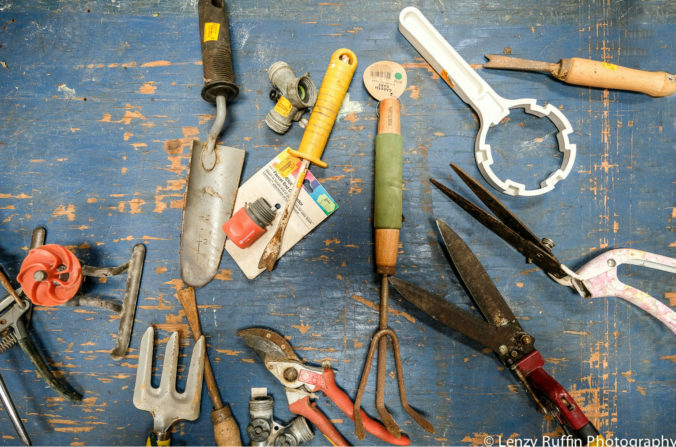 Each of these hand tools was kept out of the landfill and found by a new owner at our 2017 Garden Party! shovels, rakes, hoes, post hole diggers, edgers, trowels, shears, garden claws, weeders, loppers, other hand tools, etc. Every item you donate supports our mission of lifting up communities through reuse – and it’s tax deductible! Refresh your memory of our Donation Guidelines here.